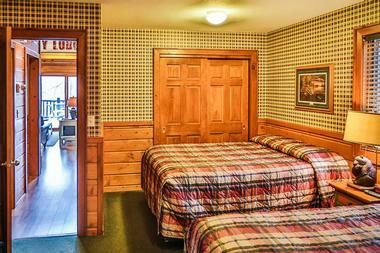 The Grand View Lodge is a historic log resort that has been in operation since the 1920s. Its main lodge has been recognized by the National Register of Historic Places as an example of early resort log construction. 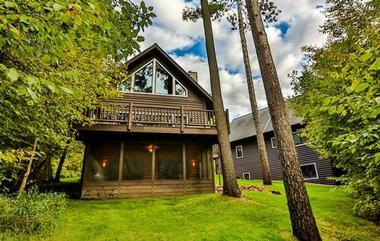 Today, the main lodge remains at its original spot in Nisswa, Minnesota overlooking Gull Lake, though the accommodation has vastly expanded, occupying several hundred acres to meet the growing demands. Amid its historic cabin façade, its interior is well furnished with modern amenities and tasteful décor to cater to the needs of modern guests. The lodge is perfect for a family vacation, golf holiday or wedding weekend. Adults and children can relax and enjoy themselves among the pine trees, natural sand beaches and gorgeous waterfall surrounding the resort. 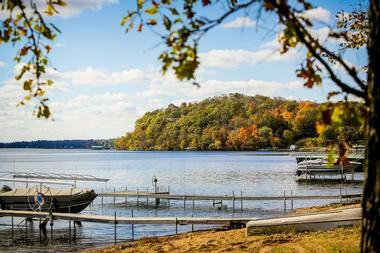 The Grand View Lodge has been graded by AAA with a Three Diamond rating. Accommodations at the Grand View Lodge include suites, lodges, cabins, townhouses and villas that are spread across 700 acres of forestland and fairways. They are highly varied taking into account different party sizes as well as the different guests’ interests. Golf groups can select from lodgings located near the courses, including the Golf Villas, 8th Fairway Townhomes and Roy Villas. Meanwhile, beach lovers might prefer the cabins and cottages located within walking distance to the 2,500 foot natural sand beaches along Gull Lake and Roy Lake. The accommodation also comes in an array of styles, from the classic cabin design to luxury townhouses and they come well-furnished with stone fireplaces, pool tables and Jacuzzi baths. Stay around the main property for greater accessibility to the resort facilities, such as the Main Lodge, dining area, beach and pool. The resort boasts five restaurants on site, but only three – Cru, Lodge Dining Room and Freddy’s Sports Grille – are open throughout the year. The Lodge Dining Room offers hearty Midwestern fares featuring seasonal and local ingredients. Located in the historic Main Lodge, it exudes a rustic and cozy lodge dining atmosphere. A must-try item on the menu would be the Minnesota Walleye, which is one of the state’s most popular and highly sought after fish. Apart from dinner service, the restaurant also offers a sumptuous breakfast buffet that is stocked with an assortment of hot and cold items, including pancakes, eggs, French toast and an assortment of fruits, yogurts and juices. Cru Restaurant and Wine is a fine-dining restaurant serving contemporary American cuisine. In 2014, the establishment received the Wine Spectator’s Award of Excellence, a prestigious award. It features a wine cellar with more than 2,000 bottles from all over the world, as well as more than 20 selection by the glass. According to the magazine, the restaurant is good for its Californian and international wine selections. During weekends, they also regularly organize wine dinners and wine tasting sessions. Freddy’s Sports Grille is a casual dining area overlooking the award-winning Pines Golf Course. The menu consists of typical sports bar food, such as nachos, wings and burgers, accompanied by a full bar for washing the grease down. There are also eight big screen TVs showing live sports programs to help enliven the overall dining experience. There are two additional dining options during summer. One of which is the Italian Gardens that serves homemade Italian and Sicilian fares from pizzas to pastas, which are typical all-time dinner favorites. The restaurant is set in a lush garden environment, a perfect setting for a big family night out. Another establishment is Loony’s Beach Hut at Gull Lake. It offers beachgoers with light and quick bites and frozen cocktails to chill with when at the beach soaking in the good weather. 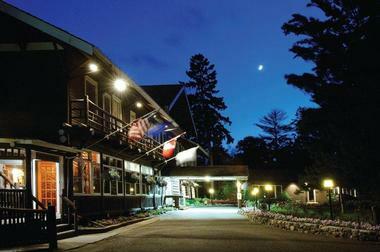 Northwoods Pub opens daily and is conveniently located in the Main Lodge. It offers a good selection of craft beers from Minnesota, on top of its cocktails, wines and spirits. Check out its nightly specials, including all-day happy hour on Sunday. It also offers a delectable range of pub grub, such as a Reuben sandwich, juicy burgers and baby back ribs, which is bound to delight both adults and kids. 10- or 16-inch pizzas are also available for eat-in or takeaway, as well as gluten-free options for those with dietary restrictions. The pub conducts beer-tasting sessions on a regular basis where attendees get to sample different Minnesotan craft beers. Check with the restaurant for their next tasting session. The Preserve Pub & Grille is situated in the clubhouse of The Preserve golf course with one of the most spectacular views of the golf course that the resort has to offer. Take in the panoramic scenery with a cold frosty beer or cocktail from the pub. Casual lunch options are also available ranging from quesadillas to a grilled chicken sandwich. The location is only open during the warmer seasons. The Glacial Waters Spa at the Grand View Lodge is known to be one of the top 100 spas in the US. Nestled among pine trees and lake water, it is an oasis of tranquility from the hustle and bustle of modern life. The building was inspired by the historic Main Lodge and was built using traditional materials including oak and fieldstone. Its warm earthy tones, together with a large central stone fireplace, help evoke an inviting ambience to help make guests feel comfortable. Services include massages, body treatments, hydrotherapy, skin care, manicures and pedicures. Not to be missed is its signature Grand Relaxation Massage that targets the whole body. It aims to relieve muscle tension and soothe the mind and body in a 60 or 90 minute session. The massage is also available for couples. Alternatively, experience a hydrotherapy session with Minnesota’s mineral-rich waters. Using pressurized hoses and a seven-headed Vichy shower, the water treatment is supposed to open up the body’s seven chakras and help energy flow freely. 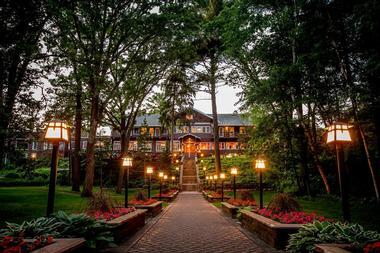 The world-class golf courses at Grand View Lodge are the most awarded courses in Minnesota. Golf Digest, Golf Magazine and Golfweek among others have consistently ranked it in the top 100 in the US. Experienced players will in particular enjoy the two 18-hole championship courses – The Pines and The Preserve. Both courses have beautifully incorporated the natural pine forest and lake enhanced landscape into its fairways. The Pines offers a 27-hole experience that has been divided into three distinct 9-hole designs, namely the Lakes, Woods and Marsh, to provide a variety of different challenges to play. The Preserve on the other hand is known for its tour speed greens and elevated teeing areas that provide gorgeous views of the surrounding forest and wetlands. Last but not least, The Garden is a 9-hole course located on the lodge’s main property. Built in the 1930s, it spans 2,500 yards and is set up with 6-inch cups to make it a beginner and family-friendly course. 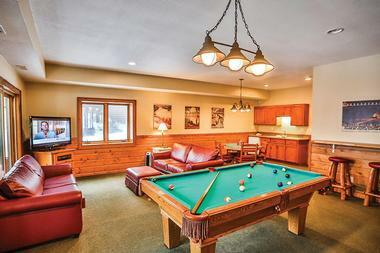 Golf groups of different sizes will find that there is no shortage of lodging options at the Grand View Lodge, where there is up to an 8-bedroom townhome. Most of these accommodations are also equipped with group-friendly amenities, including full kitchens and pool tables. There are plenty of family-friendly activities to keep the adults and little ones occupied throughout their stay at the lodge. In summer, there are day and night children’s programs for those between ages 3 and 11. Daytime events start from 9am to 3pm and they include fishing, boating and swimming, while nighttime events start from 6pm to 9:30pm and they include a bonfire night, night hikes and scavenger hunts. Pre-registering for these programs are recommended at least a day in advance. During the colder months, there is an indoor Family Fun Center that is equipped with Wii and X-box video games, a movie lounge and a bouncy castle. Families can also head outdoors for sleigh rides, cross country skiing or ice skating on one of the resort’s frozen lakes. There is over 25,000 square feet of conference space in the Grand View Lodge, including 17 meeting and event rooms. 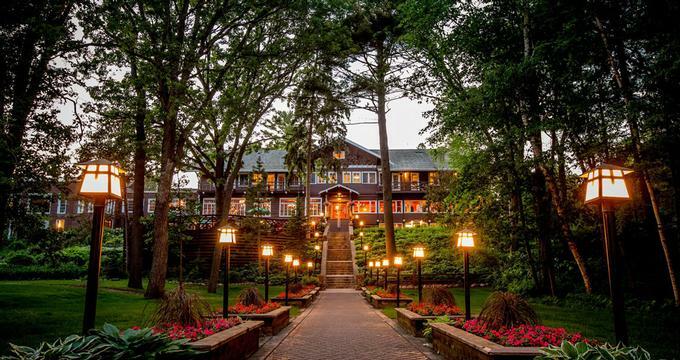 From the Gull Lake Center that can fit up to 500 people to the Headwaters Wine Cellar that holds up to 50 people, there is a wide range of venues for hosting weddings, conferences or reunions. Moreover, the resort’s historic lodge setting and beautiful natural scenery are likely to impress event guests. Aesthetics aside, these rooms come equipped with state of the art audiovisual technology and wireless Internet connectivity to ensure that the events will proceed without a hitch. The resort also provides dedicated planners who can assist with selecting the venue, on-site accommodations, catering, scheduling and reception needs. They can also help recommend vendors be it photography, décor or music to make sure that the guests’ personalized needs are always taken care of. Back to: Lake Vacation Ideas and Family Vacation Ideas in Minnesota.